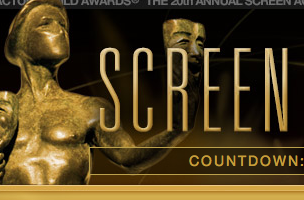 The Screen Actor’s Guild Awards has topped Nielsen’s SocialGuide this week again. The guide is a weekly list that highlights the top television shows that are being tweeted about week-to-week. SocialGuide captures relevant Tweets from three hours before, during and three hours after an episode’s initial broadcast, local time. Unique Audience measures the audience of relevant Tweets ascribed to an episode from when the Tweets are sent until the end of the broadcast day at 5am. The data includes new/live primetime and late fringe episodes only and excludes sports events. We’ve listed the top 10 shows from last week after the jump.